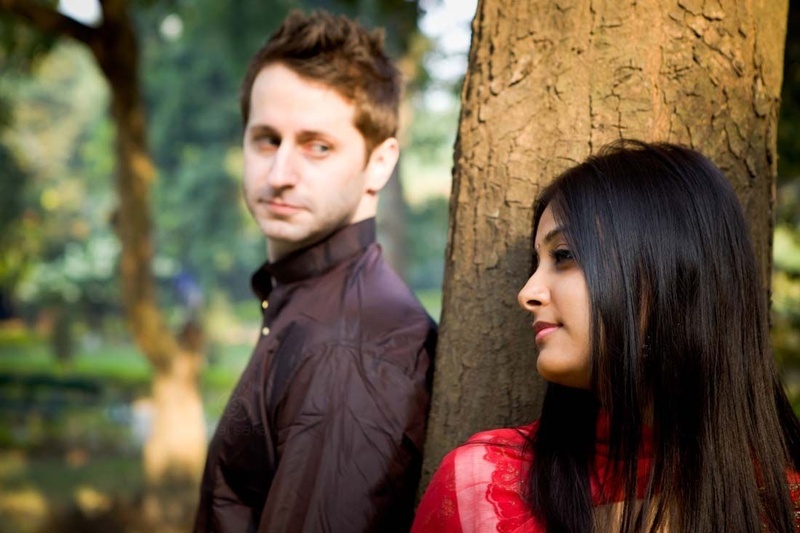 A love story that crossed the seven seas! 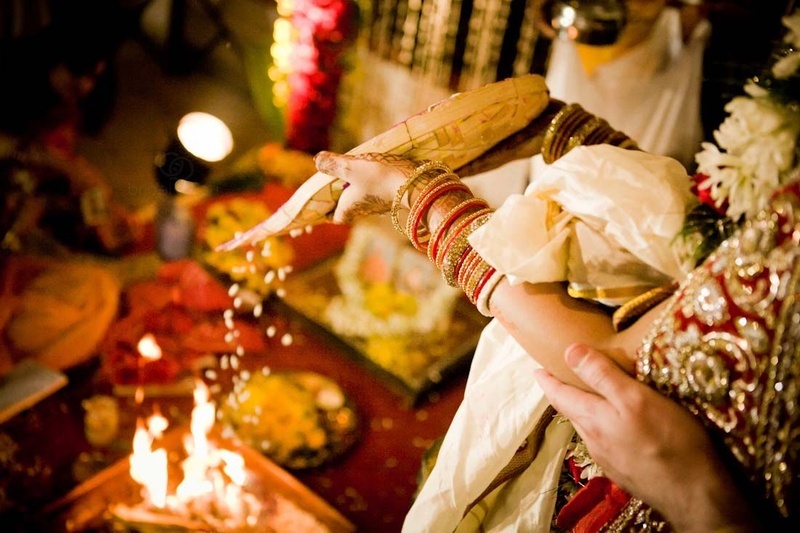 It was a fusion of culture, tradition and a whole lot of love. 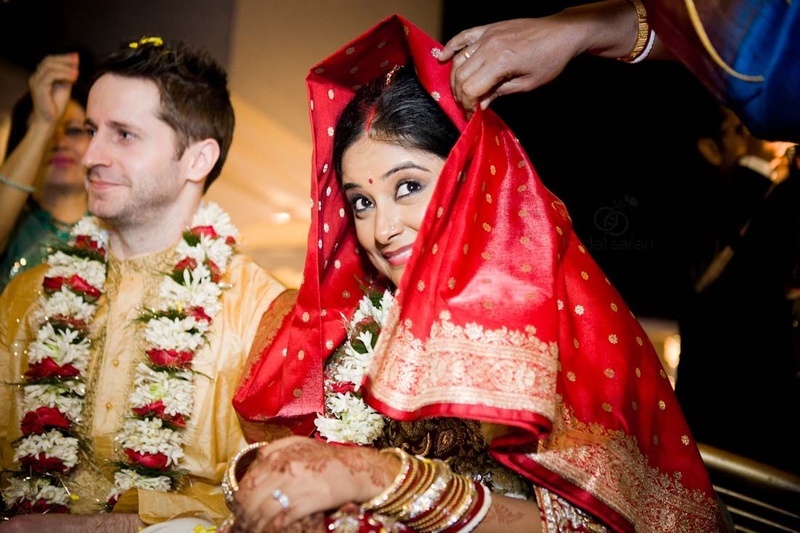 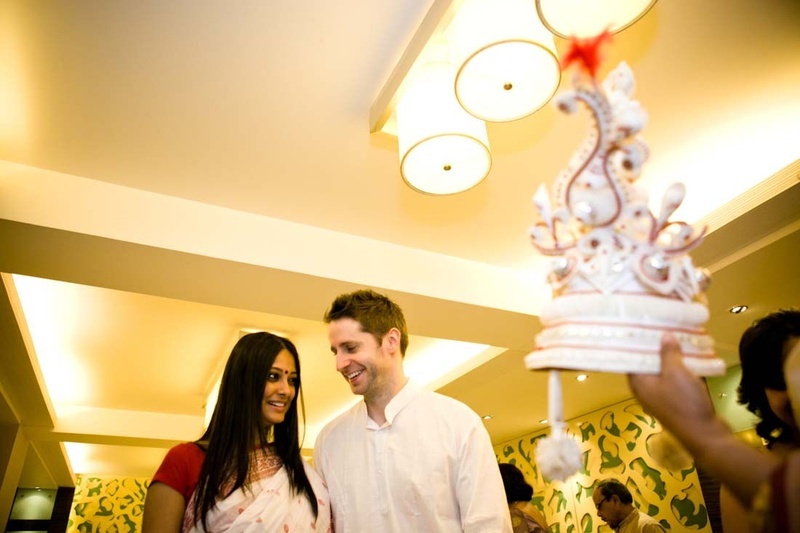 Sushmita and Ross’ wedding reaffirmed our faith in finding our soulmate; moreover, our faith in true love. 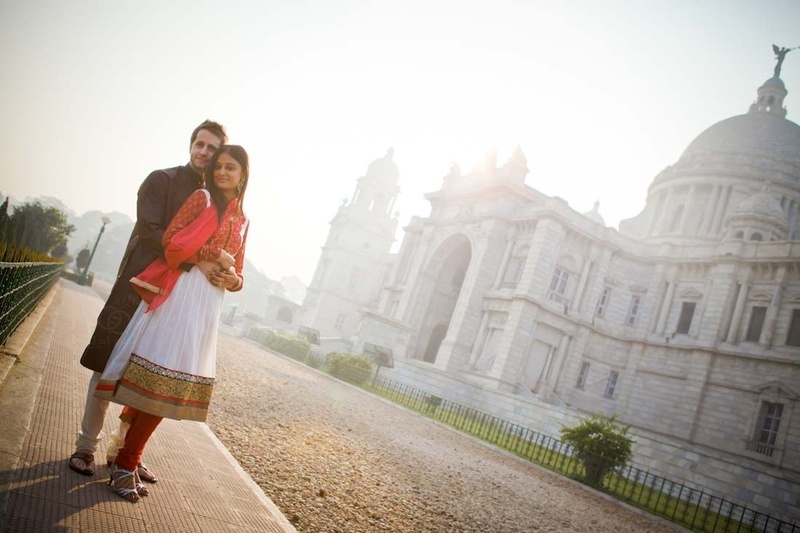 The coupled picked the serene space at Victoria Memorial, Kolkata for their pre-wedding photoshoot. 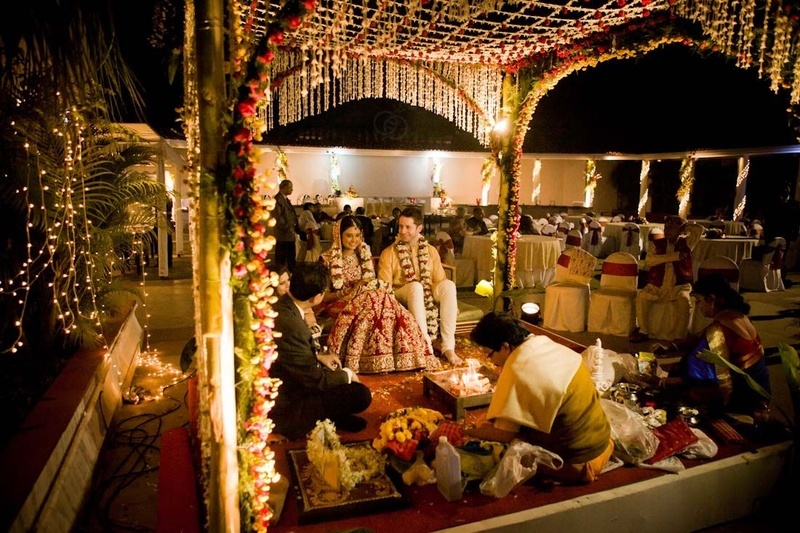 The lush-green trees, the time-honored monument and their ethnic attires made this a memorable affair. 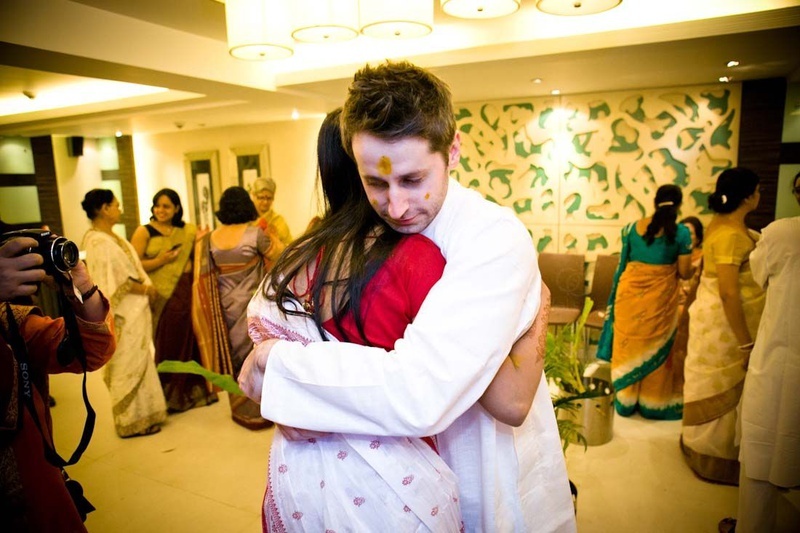 Ross pulled off a brown and white kurta-pyjama just perfectly. 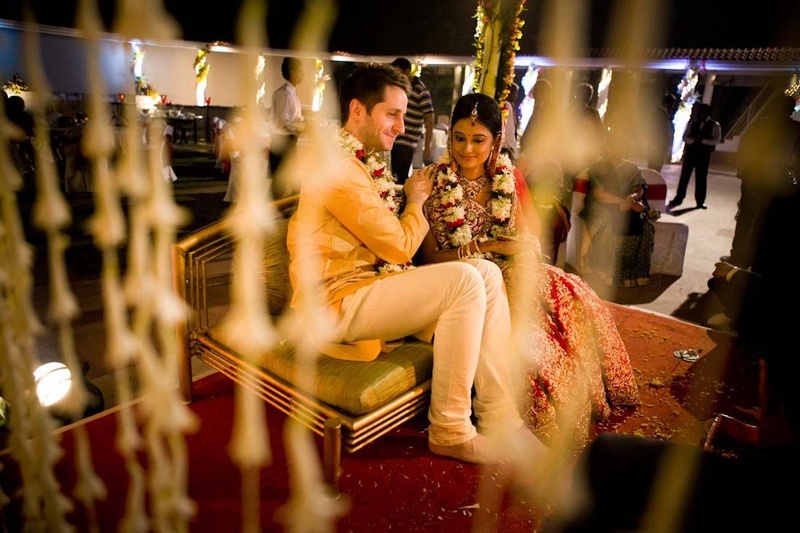 His hairstyle, right down to his footwear had him looking absolutely dapper, and the beautiful bride-to-be complemented him aptly in her red and white anarkali. 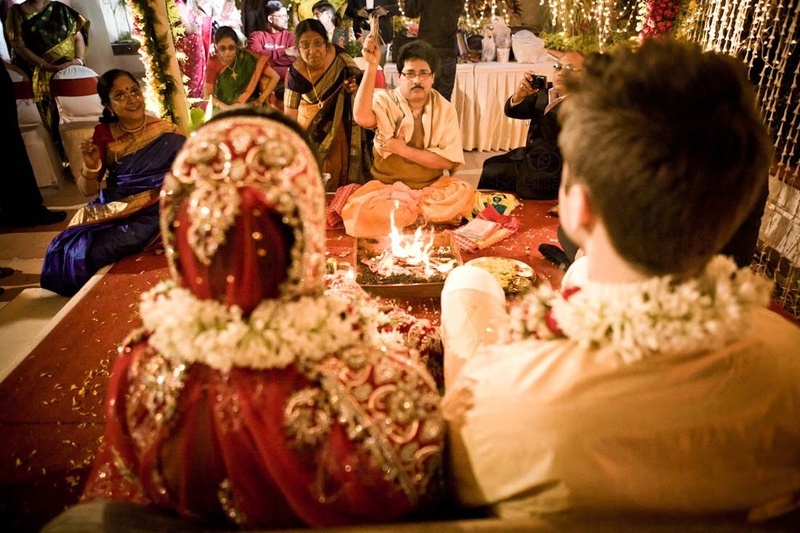 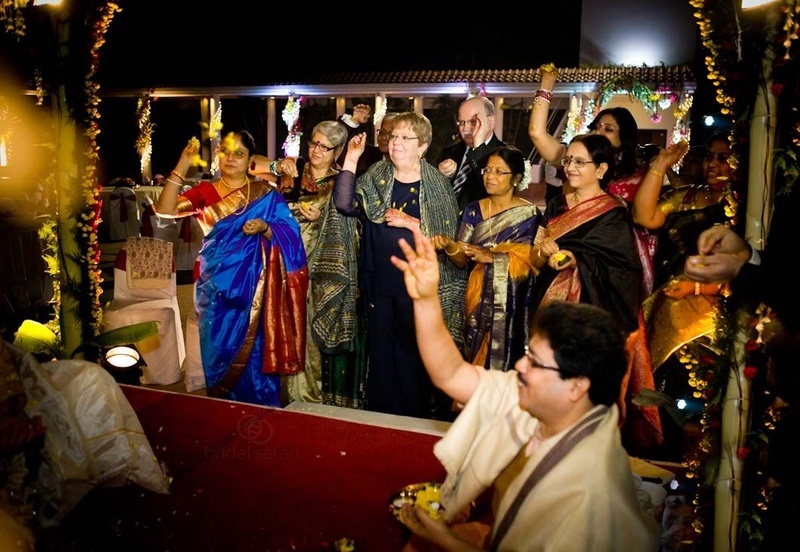 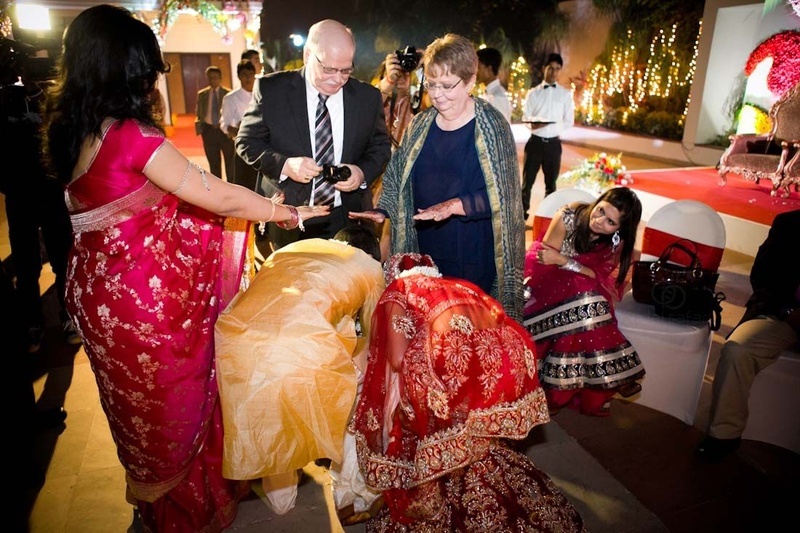 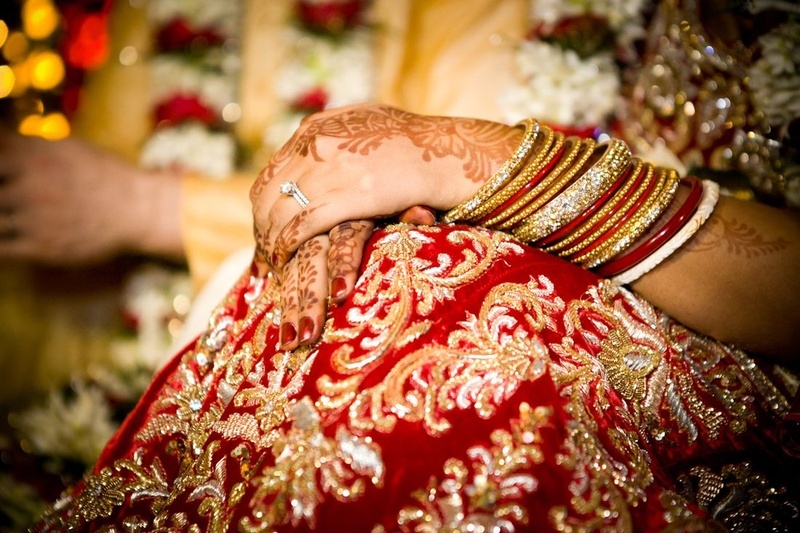 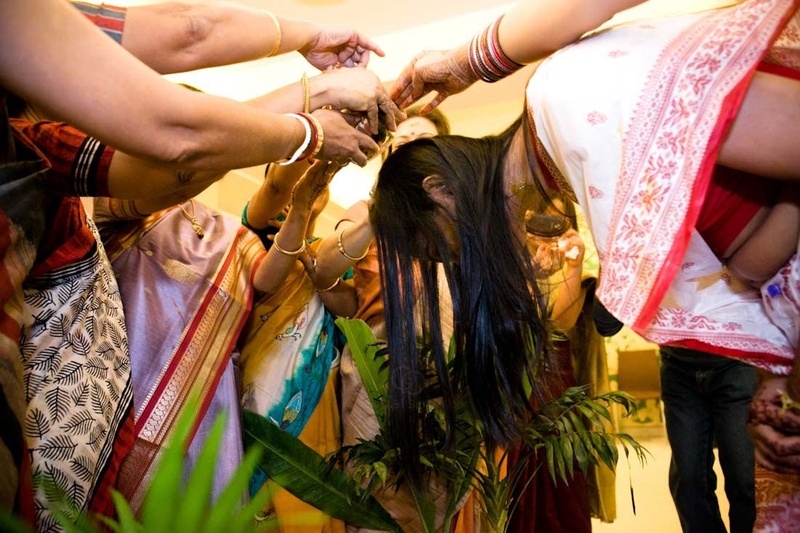 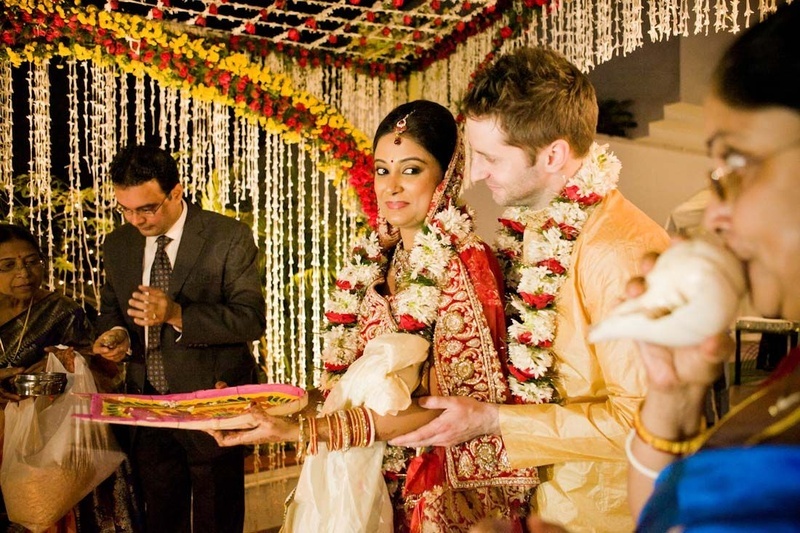 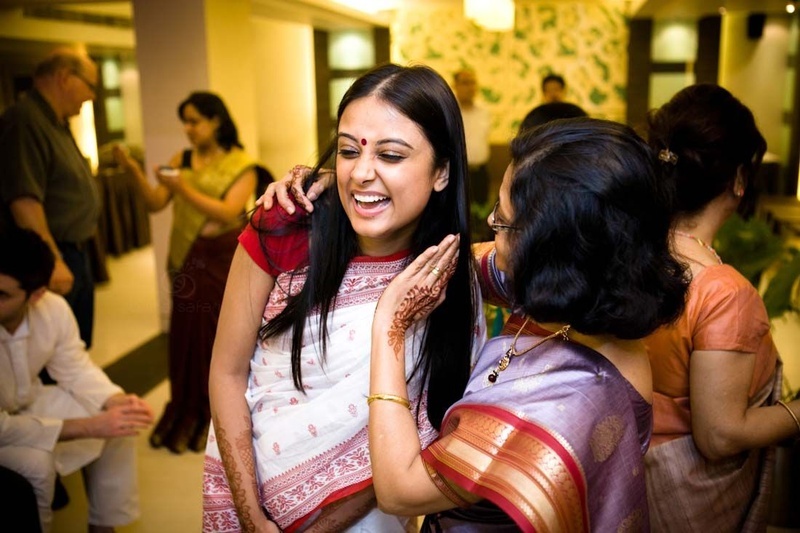 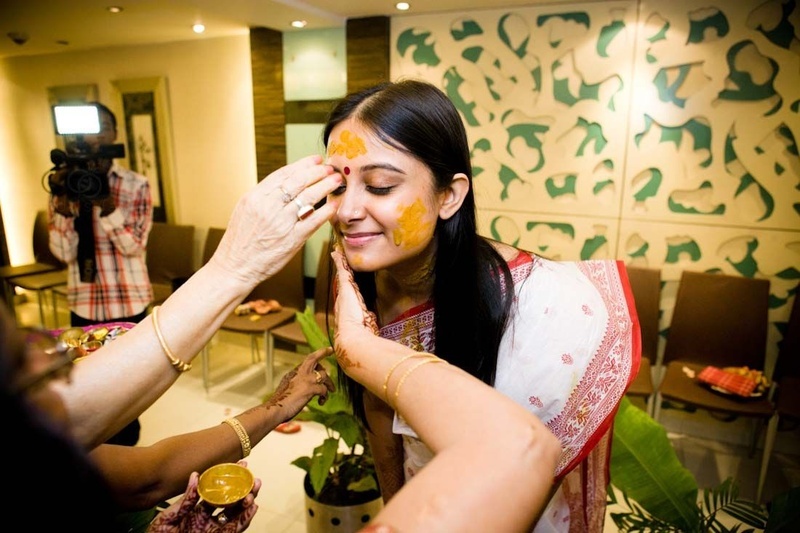 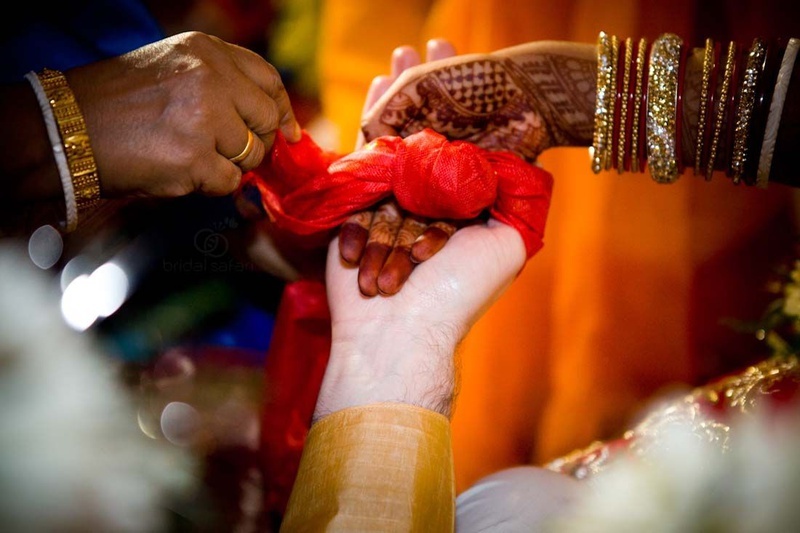 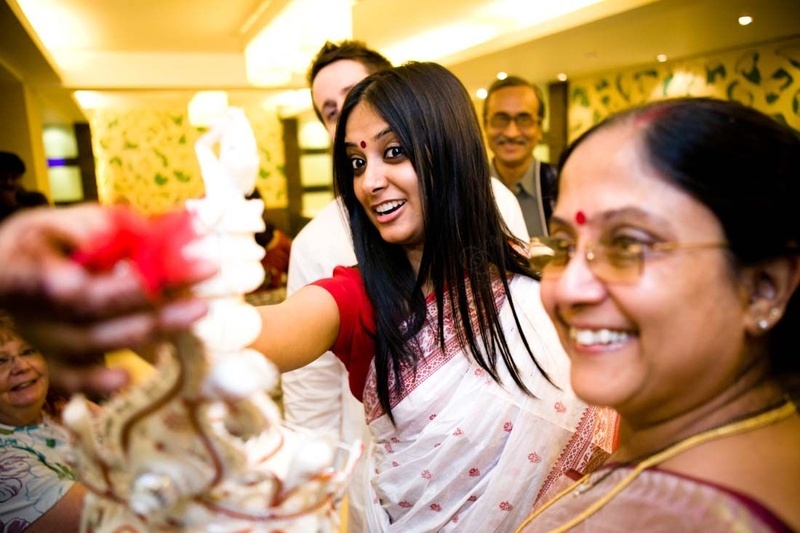 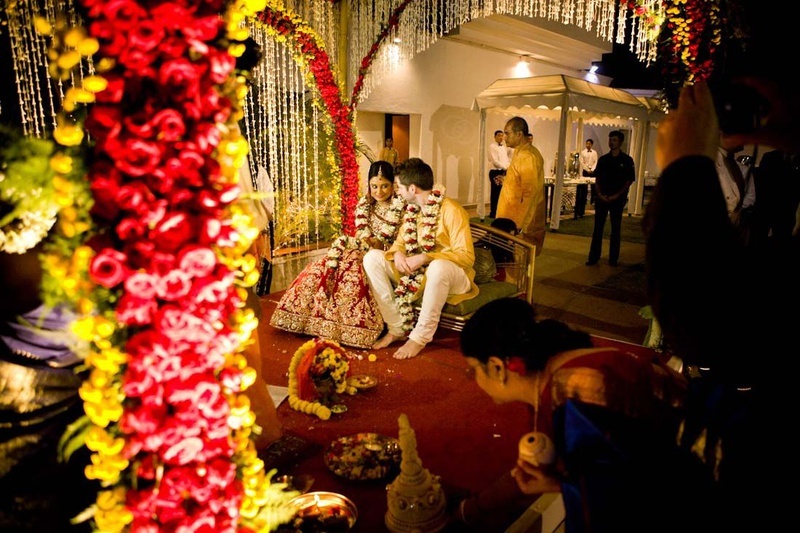 The next step of celebration at this cross-cultural love affair was the intimate haldi ceremony held in the presence of family and friends. 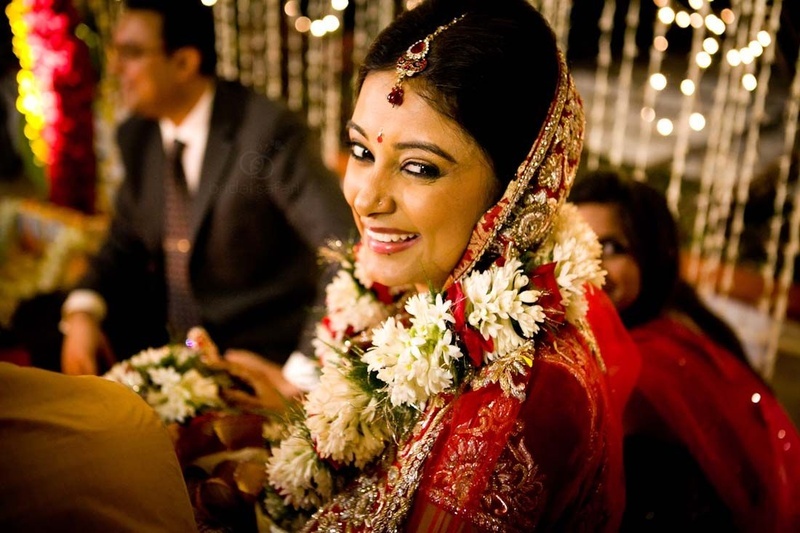 Sushmita kept it simple – she opted to wear no jewellery, kept her hairstyle simple and wore a stunning red and white taant saree and looked absolutely ravishing! 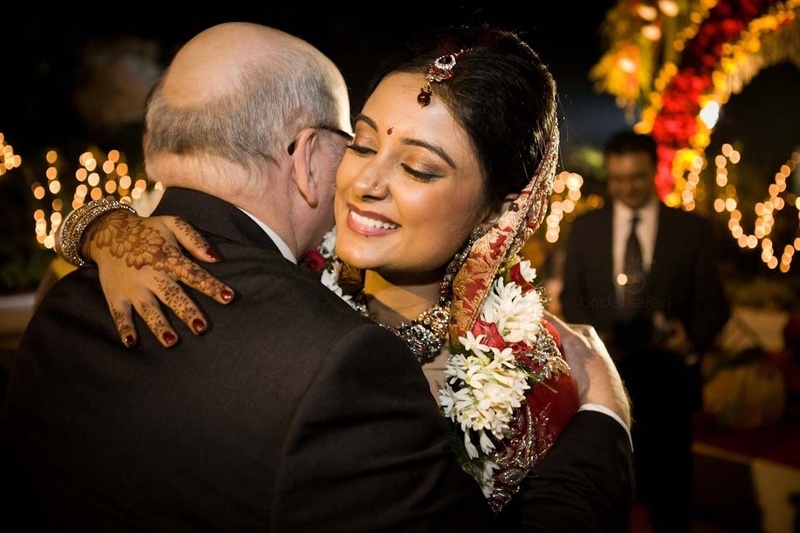 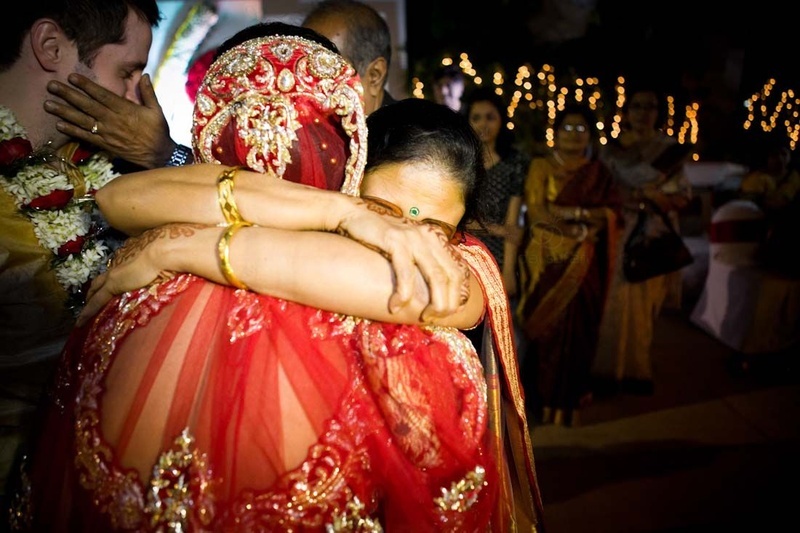 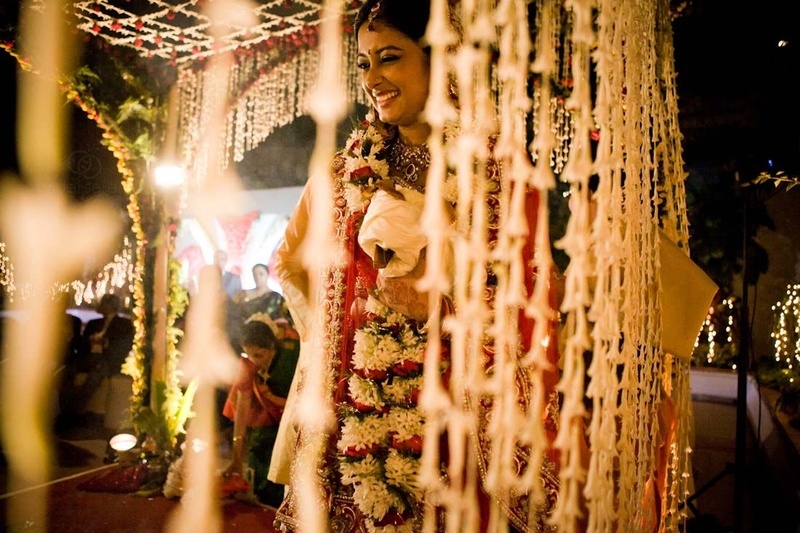 This beautiful bride truly lived out the words 'Beauty lies in simplicity'. 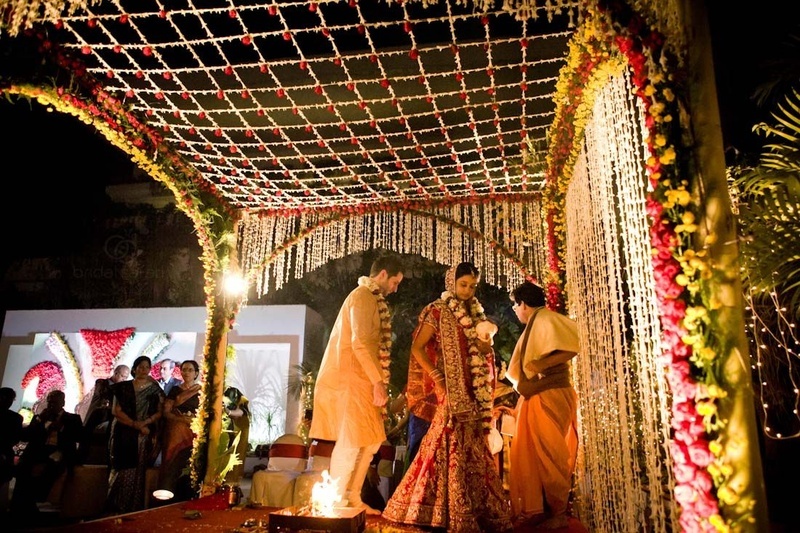 A gorgeous mesh-designed outdoor vedi mandap strung with fresh tube roses and yellow-red roses was the highlight of this ceremony. 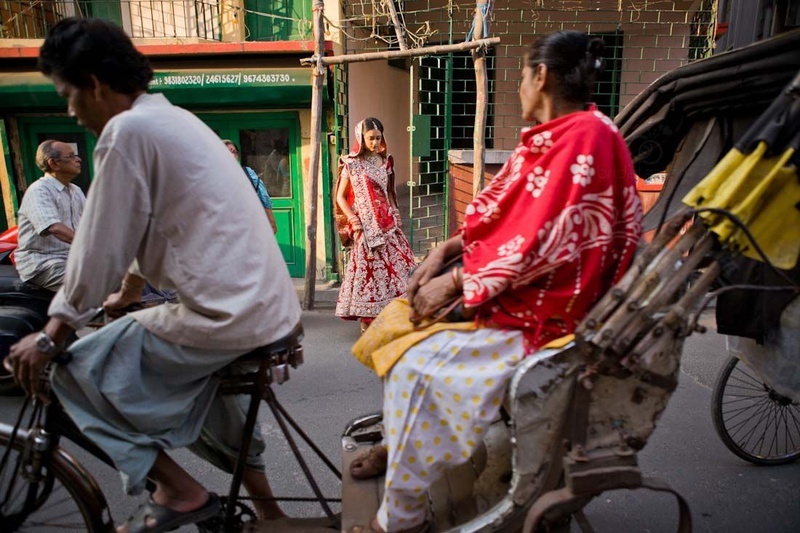 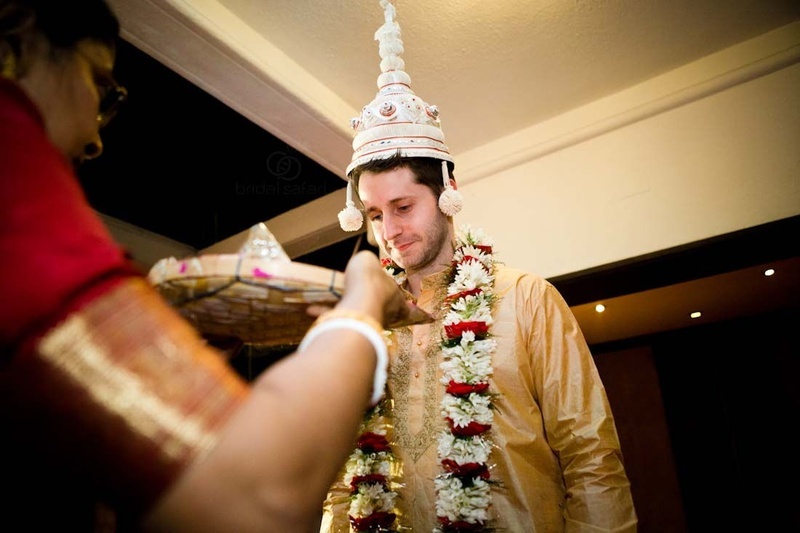 Ross looked like the quintessential Bengali groom in his beige silk kurta, white churidar and the sholawood topor. 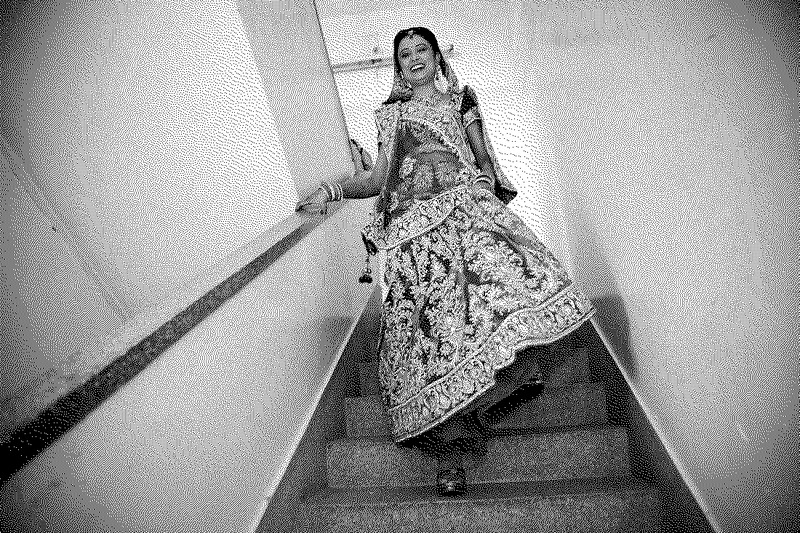 Sushmita made a stunning bride in her red velvet lehenga-choli that was intricately embellished with gold and silver zardozi all over. 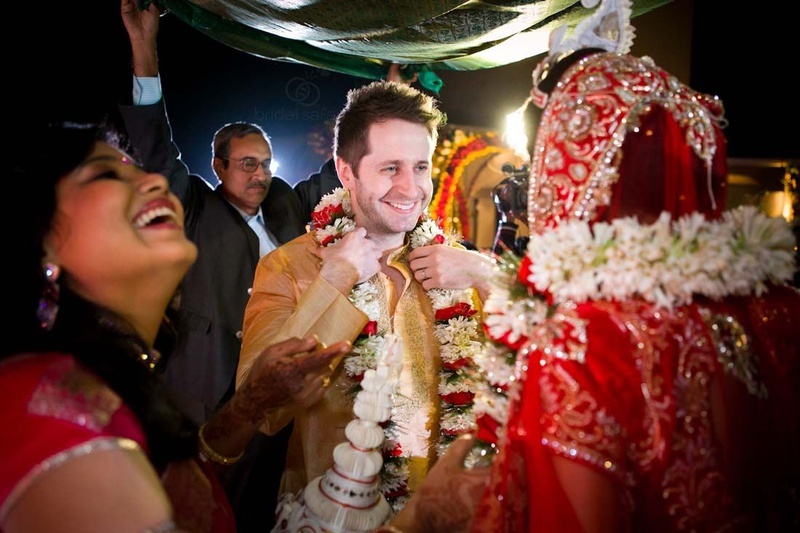 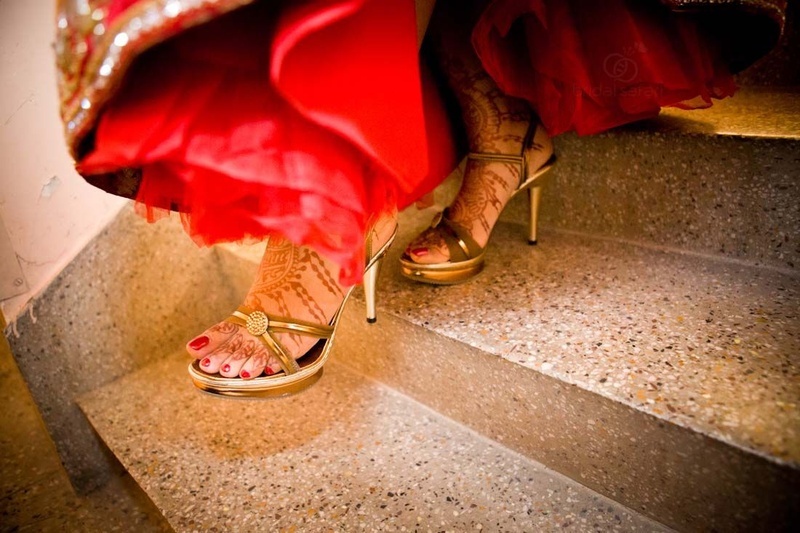 Rajesh Pandey from Bridal Safari photograpy captured every moment from this cross-cultural union with utmost precision and style. 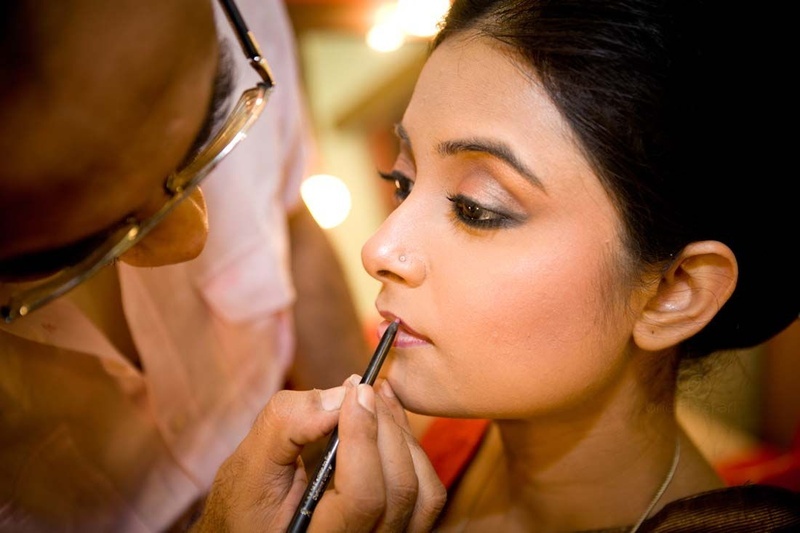 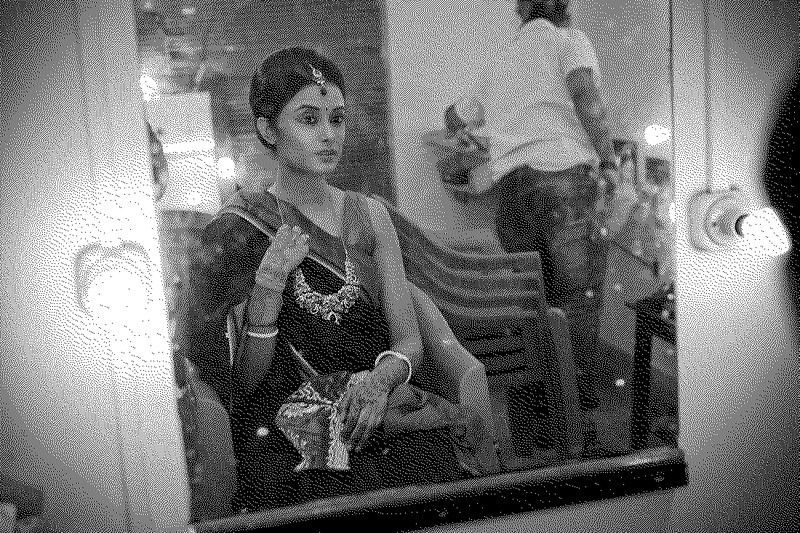 Right from the romantic pre-wedding shoot to the traditional Bengali marriage, every image spoke a story of its own, beautifully. 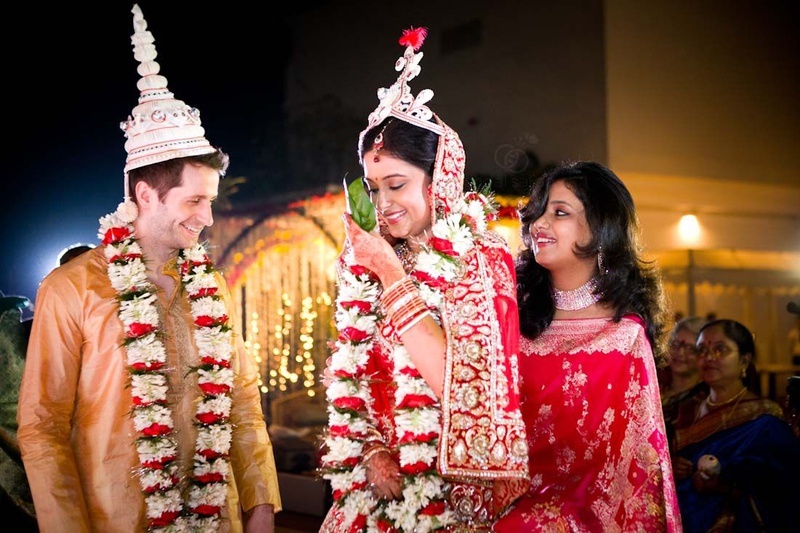 Can't take his eyes off her!